The gals at Grassini are pouring on Sunday at the annual Wine Collection of El Paseo Labor Day Weekend Block Party, courtesy photo. The 33rd annual Santa Barbara Taste of the Town, a wine and culinary event benefiting the Arthritis Foundation on Sunday, Sept. 7 is sure to be a wonderful afternoon of wine tasting and delicious nibbles presented from many of Santa Barbara’s finest restaurants and wineries. For more information and to purchase tickets call Arthritis Foundation at 805/563-4685 visit TasteofTheTownSantaBarbara.org. This Sunday (Aug. 31) from noon to 3 p.m., you can enjoy the once a year Wine Collection of El Paseo Labor Day Weekend Block Party. 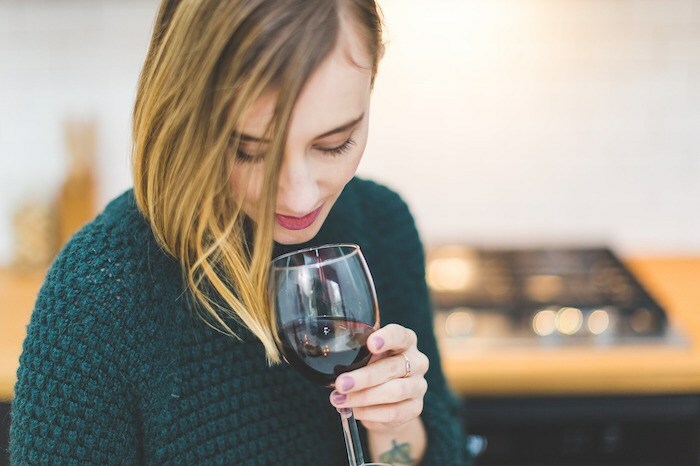 A $30 fee gets you tastings from Margerum Wine Company, Grassini, Au Bon Climat, Happy Canyon Vineyard and Jamie Slone Wines, as well as a commemorative glass and taco lunch. 813 Anacapa St., Santa Barbara in El Paseo. Oysters and sparkling wine make beautiful music together, especially this time of year. We like to pair local oysters from Santa Barbara Fish Market with a sparkling Italian wine like Berlucchi Franciacorta Brut. Long weekends are the perfect time to fire up the coals (or gas up the grills). Luckily, I’ve already compiled a wealth of winning wine options to pair with your favorite foods. Check out Audrey Hepburn in this fun clip from Funny Face. I hope this makes you want to get out there and (happy) dance like no one’s watching this holiday weekend. Have fun. Cheers! Originally published in Santa Barbara Seasons on August 29 2014.
dinner at the Sideways 10th Anniversary Winemaker Dinner. Photo by Krista Kennell. It’s been 10 years since Miles and Jack’s wine-soaked romp through the vineyards of Santa Barbara wine country, and the impact of these memorable Sideways characters—created by by author Rex Pickett and brought to life by director Alexander Payne and a top-notch cast and crew—is still being celebrated throughout the region. This Academy Award-winning movie introduced the world to the incredible Pinot Noirs of Santa Barbara, and has forever changed the wine world’s perception of the bounty that Santa Barbara County has to offer. The 10th anniversary celebrations for the movie Sideways kicked off last weekend with a wonderful party at Clenenden Ranch. Hosted by restaurateur and winemaker Frank Ostini (The Hitching Post II Restaurant & Winery) and winemaker Jim Clendenen (Au Bon Climat), this “Pig Pickin’ Party” was quite the shindig, featuring director Payne and movie star Paul Giamatti, an impressive roster of local winemakers, as well as special guests Jim n’ Nick’s BBQ of Birmingham, Alabama. Enjoying the festivities (L-R), Gray Hartley of Hartley Ostini Hitching Post wines; Sideways star Paul Giamatti, Frank Ostini of Hartley Ostini Hitching Post Wine; Sideways director Alexander Payne, Sideways producer Michael London and Jim Clenenden of Au Bon Climat wines. Photo by Krista Kennell. As you might imagine, Ostini and Clendenen served some amazing hand-selected Sideways original era 2004, 2005 and 2006 wines from Au Bon Climat, Hitching Post and Clendenen Family Vineyards—and other vintners also brought along some specially selected bottles to pair with Jim ‘n Nick’s southern-style barbecue feast, which included flying in their own heritage breed pig that was then slow roasted overnight for the party. In addition to the party at the ranch, which I was fortunate to be able to attend, the following evening the Santa Barbara Vintners Foundation continued the festivities by celebrating the Sideways milestone anniversary partnering with Direct Relief (a 14-year partnership) on the Santa Barbara Wine Auction, a biennial gala event that since 2000 has raised $3 million in support of Direct Relief’s mission to provide medical aid and relief to people facing emergency situations around the globe. Sideways star Paul Giamatti and Frank Ostini of Hartley Ostini Hitching Post wine skyped with Giamatti’s co-star Virginia Madsen at the benefit event for Direct Relief International. Photo by Krista Kennell. In addition to the gala Santa Barbara Wine Auction, the Santa Barbara Vintners Foundation raises funds annually through silent auctions at both the Vintners Festival and Celebration of Harvest in support of local nonprofit organizations including Santa Ynez Valley People Helping People, sponsorship of Vino de Sueños annual event, FoodBank of Santa Barbara County, Santa Barbara Vintners Foundation Scholarship Program, Annual Scholarships to qualifying high school seniors in northern Santa Barbara County and Annual Scholarships to qualifying students in the Allan Hancock College Enology and Viticulture program. 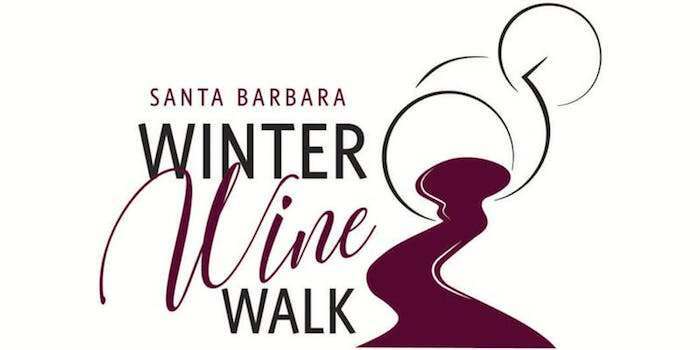 Participating wineries include Baehner Fournier, Buttonwood, Carivintas, Core, Dascomb, Happy Canyon Vineyard, J. Ludlow, Lions Peak, Lucas & Lewellen, Point Concepcion, Sagebrush Annies, Sevtap and Sunstone. Local restaurants will provide gourmet appetizers. The tasting will take place in the garden courtyard of the Solvang Festival Theatre (420 Second St.), and proceeds will benefit the nonprofit theater. For information and tickets call 805/688-6144 or visit SolvangUSA.com. Stay tuned, there are many more Sideways celebrations to come. Jim Clenenden greets guests at his ranch in Los Alamos. Photo by Krista Kennell. Winemakers enjoyed a special “Pig Pickin’ Party” bourbon toast in salute to the pig at the Sideways 10th Anniversary Winemaker Dinner. Photo by Krista Kennell. Just a peek at the fabulous fixings at the Sideways 10th Anniversary Winemaker Dinner. Photo by Krista Kennell. A view worth turning sideways to see, at Clenenden Ranch in Los Alamos. Photo by Leslie Dinaberg. Originally published in Santa Barbara SEASONS on August 8, 2014.